Goldfish Swim School Birthday Parties Metro Detroit – Party and birthday party packages and info for pool party fun at SE Michigan Goldfish Swim Schools. Goldfish Swim School birthday parties include plenty of pool time, and time in the lobby for presents, food, and cake. All Goldfish Swim School birthday party packages are for 2 hours and are designed for up to 24 children. Goldfish Swim School staff will run games, races and more or simply lifeguard and maintain control as the party group swims. Parents are welcome to watch the party from a glass enclosed viewing room. Children who cannot swim independently in the water must be accompanied by a responsible adult. 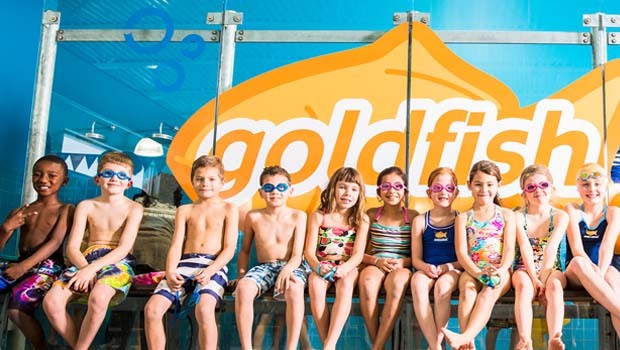 For more info on Goldfish Swim School Birthday Parties and Goldfish Party packages, visit goldfishswimschool.com.